In 2007, Val's Boutique was born in Nashville, TN out of Val's car. This popular concept is now known as "pop-up shops", which didn't exist back then. From 2007 to 2011, Val was able to rent space in both Brentwood and Franklin, TN, while working a full time job. Once she met her husband, JP, she knew they wanted to eventually get back to their hometown of Knoxville, TN. In 2011, they opened their first brick-and-mortar on Kingston Pike. In 2016, they went global with their website, www.shopvalsboutique.com. In Spring of 2017, they have added a warehouse space in Farragut, TN. Owner, Valerie (Weissinger) Guess, was raised in Knoxville, TN and went to Farragut High School. From there, she attended University of Tennessee. She was an Alpha Delta Pi and majored in Child and Family Studies. She had planned all her life to be a teacher, but when graduation came, she found herself in Medical Sales for 7 years after college. 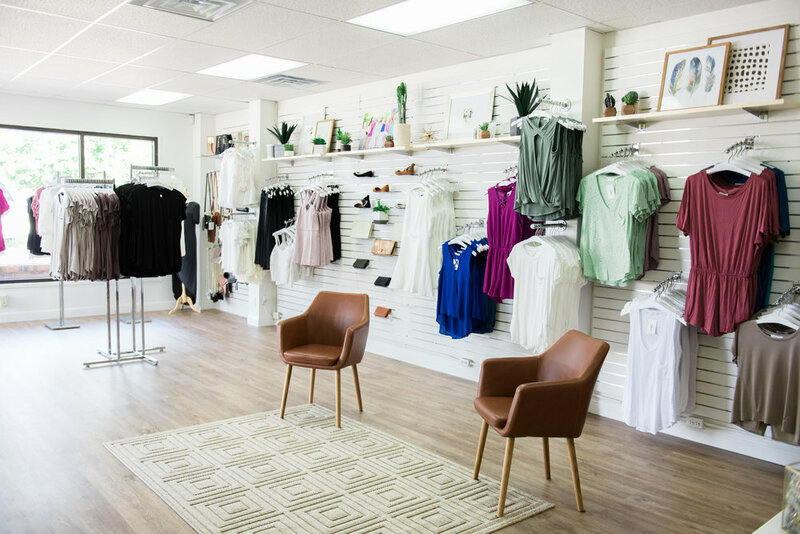 She always knew she wanted to own her own company, but she NEVER imagined that would be a women's clothing boutique. She never worked retail in her life before owning her own boutique, but found it natural as the process began!